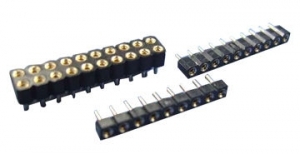 Connector / Wire & Cable – ROCKTRONICS, Inc.
Bayonet coupling subminiature configuration with high contact density, ideal for smaller wire gauge, general-purpose applications. These environment-resisting connectors are 100% scoop-proof. Pins are recessed in elongated shells to prevent the possibility of bending contacts when plugs are scooped into the mating receptacles. Bayonet coupling mechanism with lower profile design and rear-removable crime contact retention system. 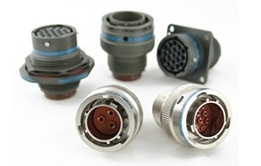 These connectors were designed for military and commercial applications where the prime requirements are lower profile and lighter weight. 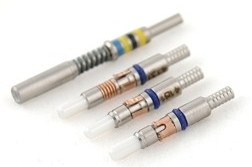 The newest cylindrical connectors designed for highest performance capabilities used in both general purpose and severe environment applications. 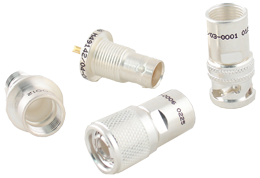 D38999 connectors feature an improved “one turn” coupling system, utilizing a self-locking acme thread. Acme threads provide coupling durability, while thicker wall sections and great coupling surface area improve strength and shock resistance. 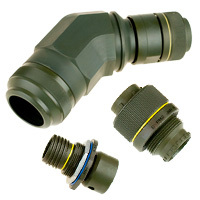 The latest generation of performance, the MIL-DTL-38999 Series IV connector is compact, lightweight cylindrical connector technology featuring a scoop proof design with a breech lock coupling system for high performance general duty and severe environmental applications. Commonly used for shipboard applications and offers a high-density insert arrangement and high-shock performance. The MIL-C-28840 features RFI-EMI shielding, scoop-proof shells and corrosion-resistant materials and finishes. 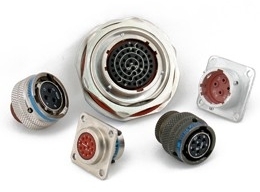 The workhorse connector of the MIL-Aerospace industry. 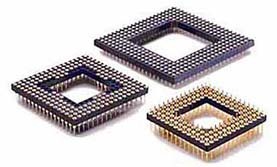 Taking the MIL-DTL-5015’s best features of the old solder 5015 and combining them with the rear accessories that are common to the MIL-C-26482 Series II and the MIL-C-83723 Series I and II, the MIL-DTL-5015 answers the air frame and ground support industries requirements for highly reliable rear release connectors. 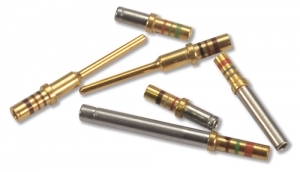 MIL-C-49142 is the section of the mil-spec that requires tool crimping of the TRB (70) series connectors. Many 70 series concentric twinax connectors are QPL’d to MIL-C-49142. QPL’d version are silver plated. Designed primarily for applications where space and weight are of major importance. They can accommodate a large number of circuits in proportion to their size, which makes them especially well suited for aircraft, missiles and related ground support systems. 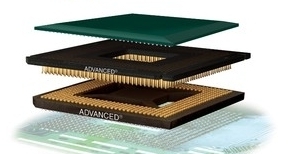 Every element of the M83513 Micro-D is exactly controlled – from terminal spacing to approved wire termination methods. Standardized measurement and test methodologies ensure consistent, predictable performance throughout this broad family of ruggedized connectors. 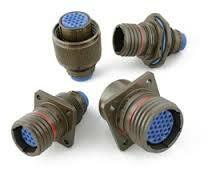 Industry standard connector for Navy applications. The MIL-C-28876 is constructed out of aluminum alloy with double start threads for extra durability. 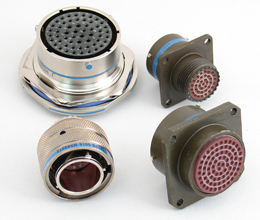 This connector meets the U.S. Navy’s MIL-S-901 Grade A Medium shock requirement. MIL-T-29604 Fiber Optic Termini are qualified to MIL-PRF-29504B specifications. 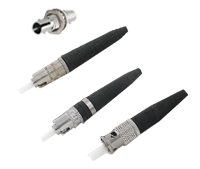 This series of fiber optic termini provide superior optical and mechanical performance and are compatible with M28876 and comparable military-style connectors. MIL-C-29504 Fiber Optic ST Connectors for deployable and fixed communication system requirements. 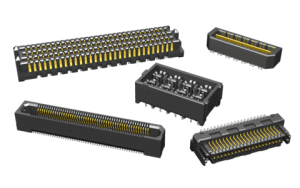 These connectors are designed to provide the best possible optical performance in applications with severe environmental conditions. 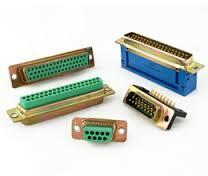 M39029 contacts are the heart of any connector both military and commercial. 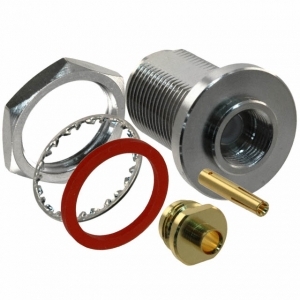 These include power, thermocouple, wire-wrap and shielded (Coaxial). 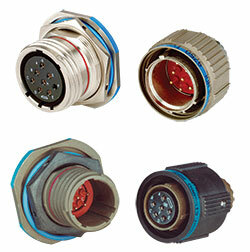 Military, Video and Broadcast Connectors, Terminators, Impedance Matching Adapters, Patch Panels, Tools. High-Performance Power and Data Cables: High-performance, high-speed 100 Base-T Ethernet cables designed for use in aircraft IFE (In-Flight Entertainment) systems.